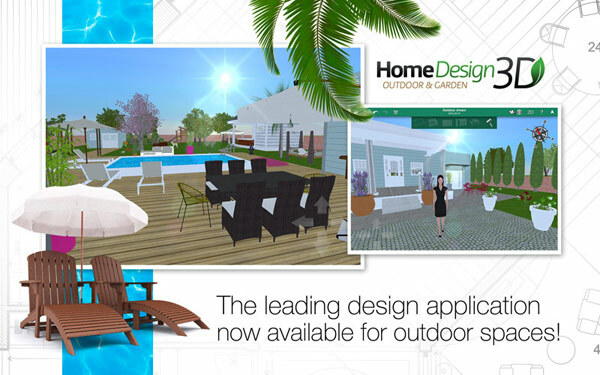 Home Design 3D Outdoor & Garden - Buy and download the game here! The simple, intuitive and comprehensive Home Design 3D Outdoor application boasts all the features that made Home Design 3D such a success (number 1 application on iOS and Android with over 20 million downloads throughout the world). With its new 3D rendering, Home Design 3D Outdoor will help you fulfill your design dreams quickly and easily, whatever your idea: design your garden, come up with your ideal outdoor space, create a play area, organize your open-air wedding and more! Create the project of your dreams in just a few steps! Intuitive interface for a highly ergonomic user experience. Create your garden using the exact dimensions of your fences. Mark out the different areas on the ground and include your house. Just drag and drop 2D or 3D items. Simply edit the dimensions to meet your needs. With over 100 items tailored to outdoor design, you will have a wide range to choose from, in all styles: garden furniture, trees, flowers, swimming pools, greenhouses, fences, etc. See the result instantly in 3D. Make it unique! Choose from the thousands of different textures for your own personal project! No more mistakes thanks to the Cancel/Restore feature!